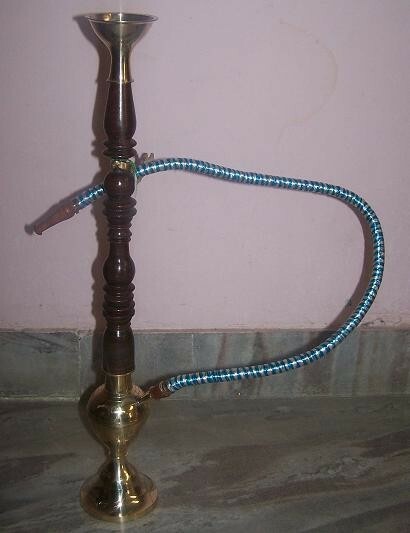 This 12" high single person Hukka can be used as a decoration on any table...or used to smoke fruit flavored tobacco. Make it a focal point of your decoration. Many sizes available...some all wood and brass...others with colored glass...ask us if you have something special in mind....Prices vary according to size and materials used.